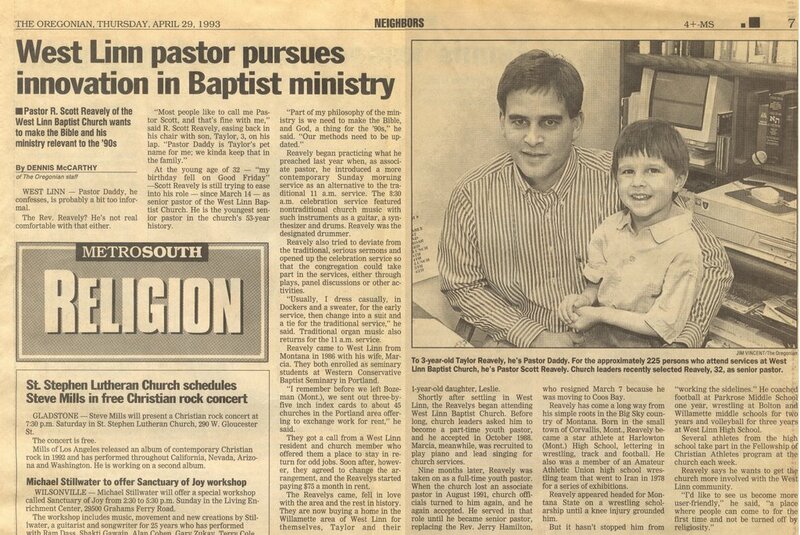 Thirteen years ago, Tuesday, I began as the Senior Pastor of what was then West Linn Baptist Church. 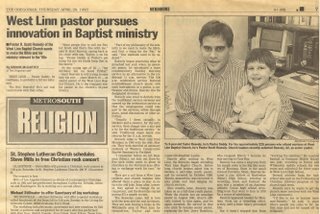 The Oregonian wrote about my start as a "young pastor." Graciously, the Lord didn't allow some of the ideas represented in this article to destroy the church. His faithfulness is more obvious looking backward than it is looking forward. In retrospect we can see He was faithful, where trusting His faithfulness in the future requires an act of faith. I am so thankful for his work in me, and in our church for the past thirteen years! It is and has been a privilege to serve as your pastor. It seems like just yesterday...yet it seems like ages ago. Thank the Lord for how he does work in us to change us all!